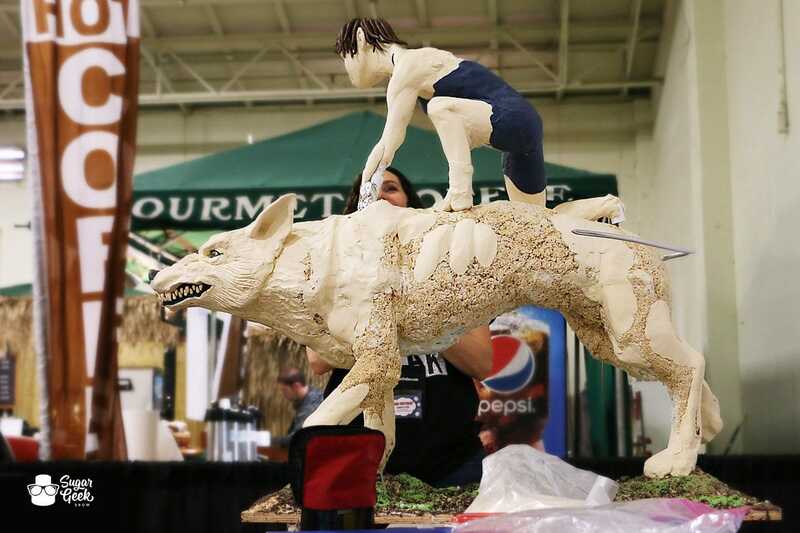 Have you ever stood next to a life size edible creation? 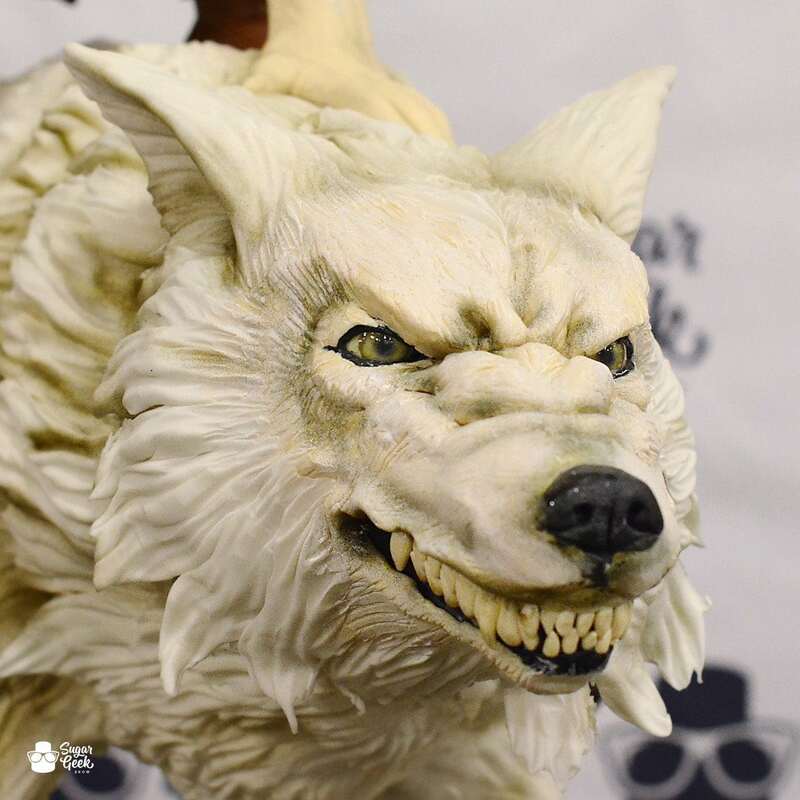 It’s really incredible even for a cake decorator. 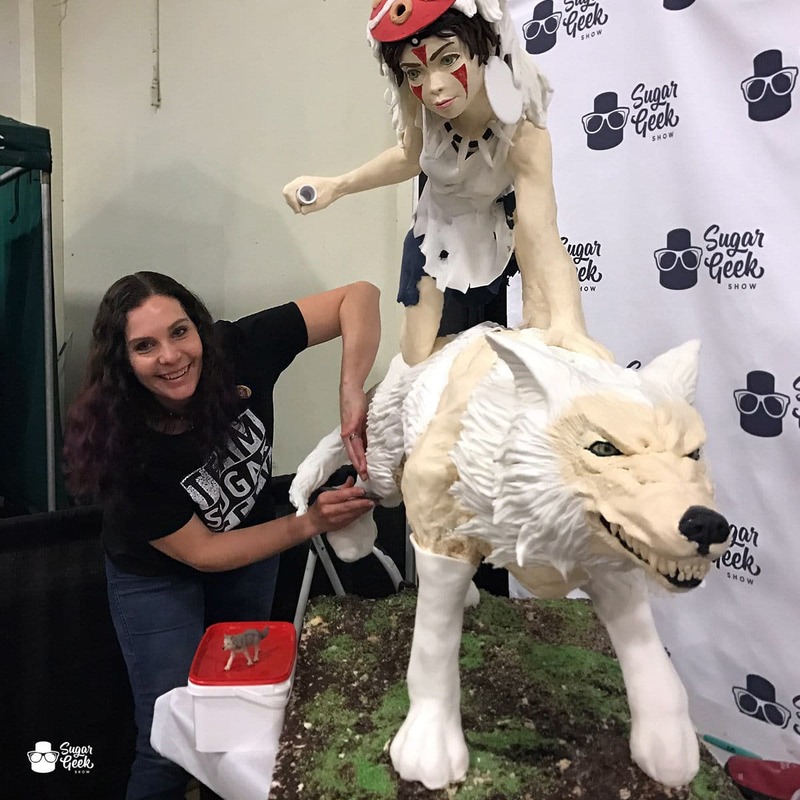 The cake showpiece for the 2017 San Diego Cake Show Liz created with Shani Christenson of Shani’s Sweet Creations was of Princess Mononoke from the Ghibli film atop her wolf mother. The wolf was life size I kid you not and so realistic it scared several small children (way to go Liz!). Because I know the proportions of Princess Mononoke to her mother wolf were spot on and the wolf was of an actual real live wolf size I have deduced that in the film the wolves must be absolutely huge in comparison to real life wolves in order for Princess Mononoke to be normal human size. 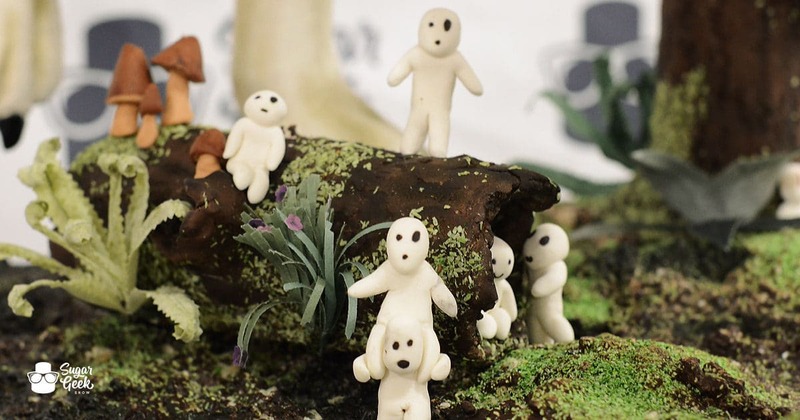 Whether a fan of the film or not, this piece of edible art was a sight to behold and attracted much attention from everyone who passed by it. This piece came to life over the course of a month between the time Liz and Shani spent at home creating it and of course at the show. 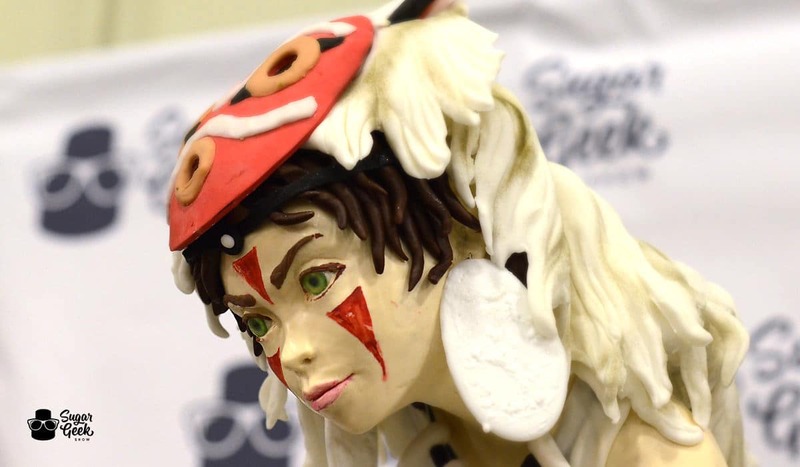 It is made up rice krispie treat, modeling chocolate, fondant, isomalt, edible glaze and much more. Here Shani produces a lovely smile masking how unbelievably tired she is. I think my favorite part of the piece is this right here. The expression Liz was able to create in the wolf’s face is phenomenal! 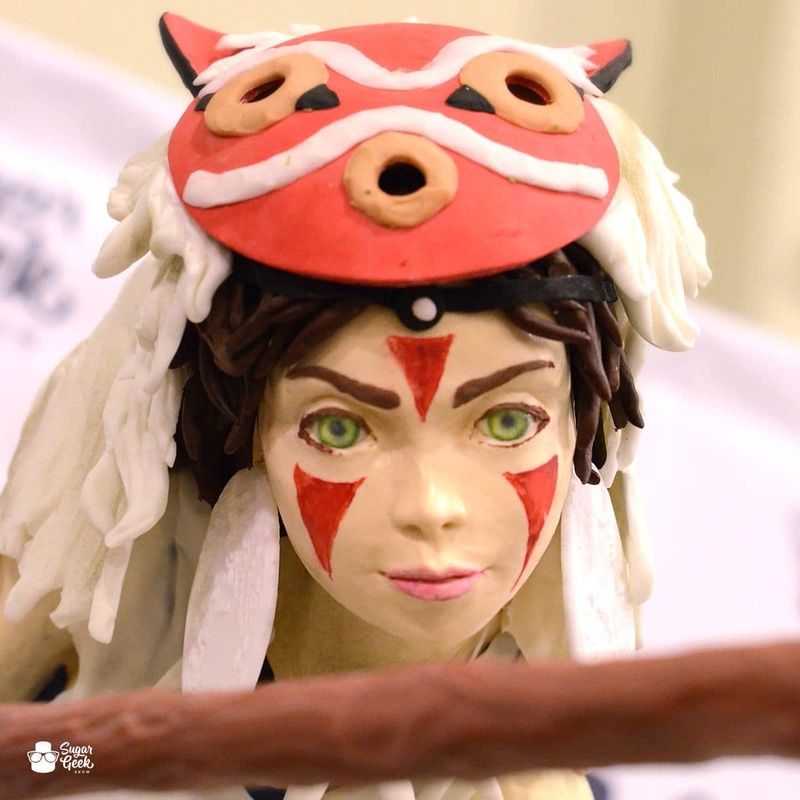 The detail and accuracy of Princess Mononoke herself is also impressive. Seriously go look it up if you aren’t aware, you will be that much more impressed. 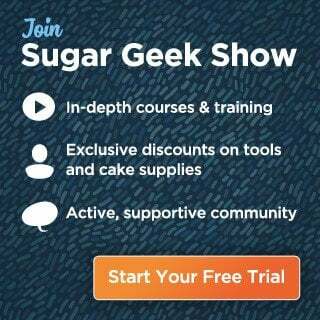 I failed to mention this is the upcoming tutorial for the Sugar Geek Show. That’s right, you will learn from beginning to end how to create this masterpiece from the extremely thought out structure to the insanely realistic eyes. Sign up as a Premium or Elite Member today if for nothing else than to see how this amazing piece came together, it will blow your mind. Amazing details from the film done by Shani at home and brought to the show. 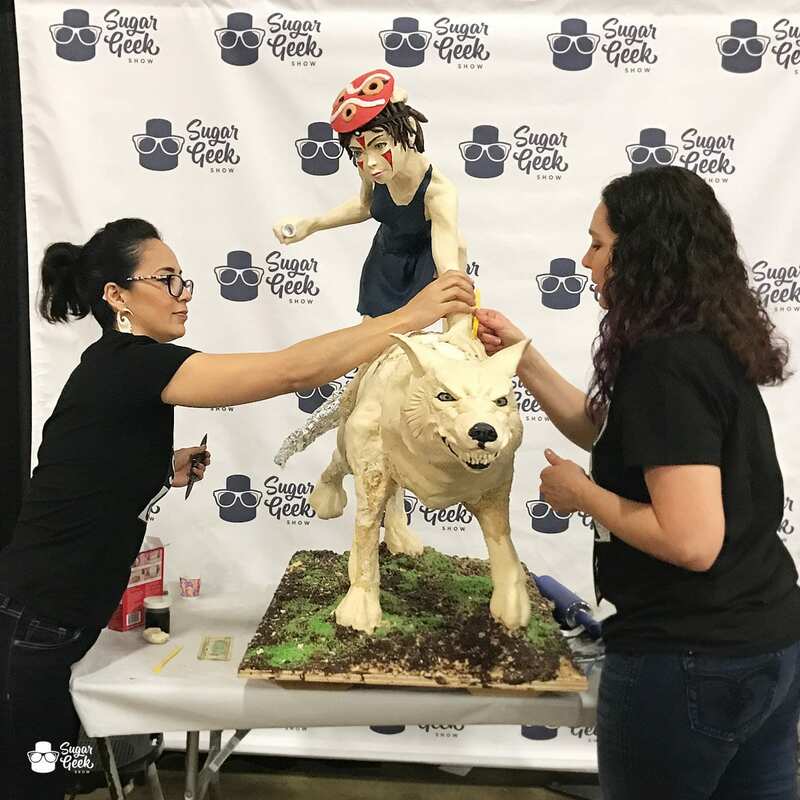 If you’ve ever wanted to learn (or just watch in awe with your jaw dropped) how a cake showpiece comes together now is the time to sign up! Or I guess it will always be here so I will just leave that right here. You know where you can always come when you’re ready to witness awesomeness.